1. Kuo-Kuang Bus: Get on board at Chung-King N. Rd. 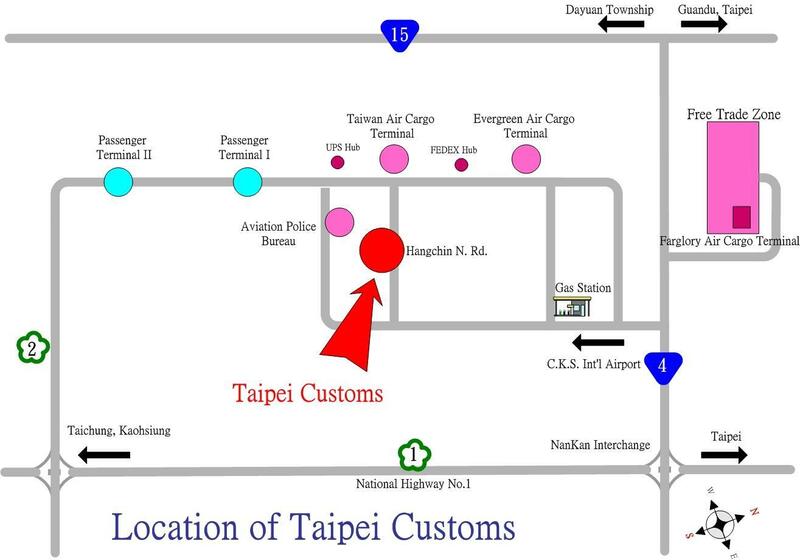 Station in Taipei and get off at Taiwan Air Cargo Terminal Station in Taiwan Taoyuan International Airport. 2. After getting off the bus, go straight ahead and you will see Customs Clearance Building on the left-hand-side (A building with six stages). 3.Taoyuan Metro: Take Taoyuan Metro at Taipei main station, get off at Airport Terminal 1 station, then take shuttle bus and get off at Cargo Terminal Station. After getting off the bus, go straight ahead and you will see Customs Clearance Building on the left-hand-side (A building with six stages).